Many types of litigation can be avoided by consulting with qualified legal counsel before conflicts arise. Whether drafting an employment contract, drafting an operating agreement, or advising you on the current requirements under the Alabama Workers’ Compensation Act or the Fair Labor Standards Act, we can decrease the likelihood of litigation for you or your business. Our lawyers are experienced with counseling on how to manage risks, as we think it prudent to plan for worst and hope for the best. With this in mind, we encourage clients to implement safeguards against future legal challenges. However, conflicts do inevitably arise, and for this reason McDowell Knight welcomes any type of civil litigation. We have the expertise and resources to handle all kinds of civil ligation, whether on behalf of plaintiffs or defendants. With an extensive team of lawyers representing a wide variety of backgrounds and specialties, we have someone with the knowledge and experience to assist your business in almost every circumstance. We believe in defining mutual goals with the client and aggressively pursuing those goals. We are not satisfied unless the client is satisfied. Our firm has successfully prosecuted claims on behalf of plaintiffs in a wide variety of contexts. 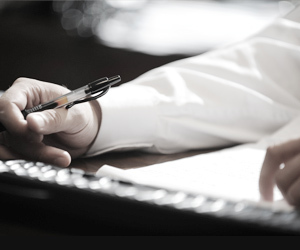 From helping banks to recoup money owed as a result of loans in default, to representing business owners in contract or trade secret disputes, or helping individuals injured in accidents or on dangerous premises–McDowell Knight possesses broad civil litigation experience. Being sued is stressful, but with highly qualified counsel working hard on your behalf, the process can be far less daunting. The lawyers of McDowell Knight Roedder & Sledge, LLC, are dedicated to protecting your interests.